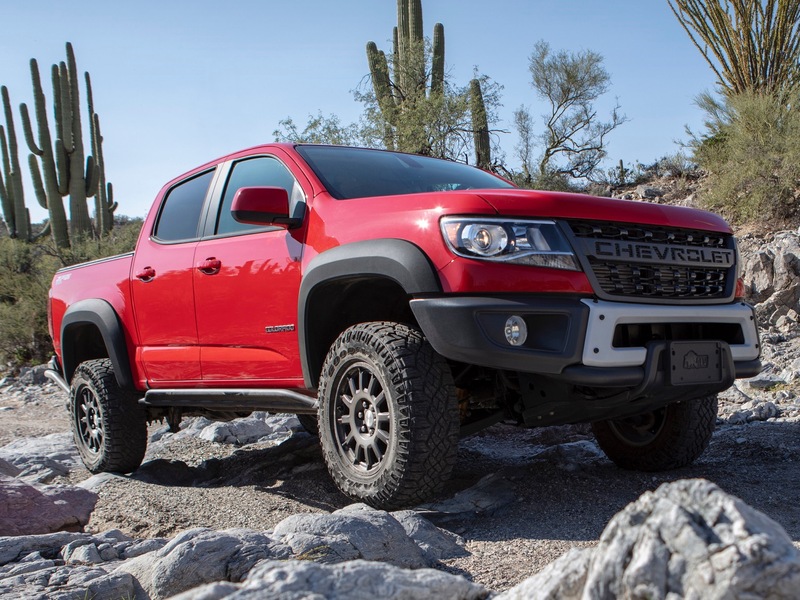 The Chevrolet Colorado ZR2 Bison is an extreme off-road variant of the Chevrolet Colorado ZR2 off-road pickup truck that makes various improvements for off-roading, overlanding and exploration. 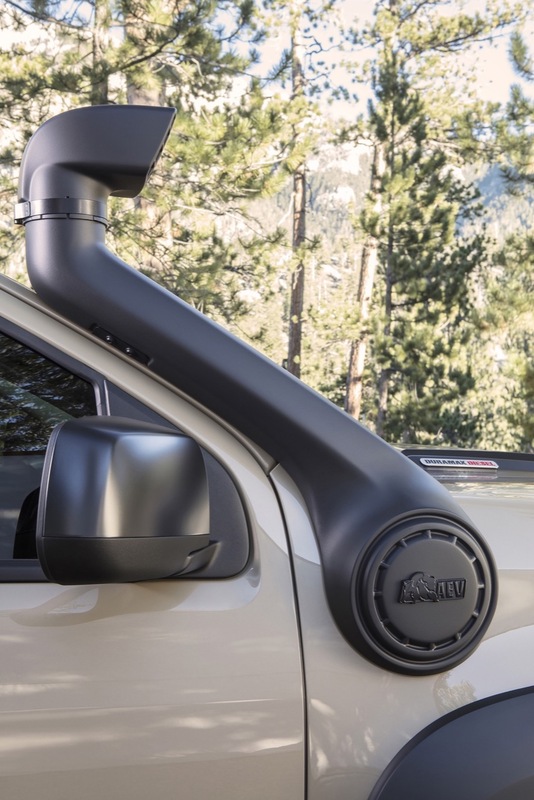 The snorkel is not part of the Colorado ZR2 Bison package. 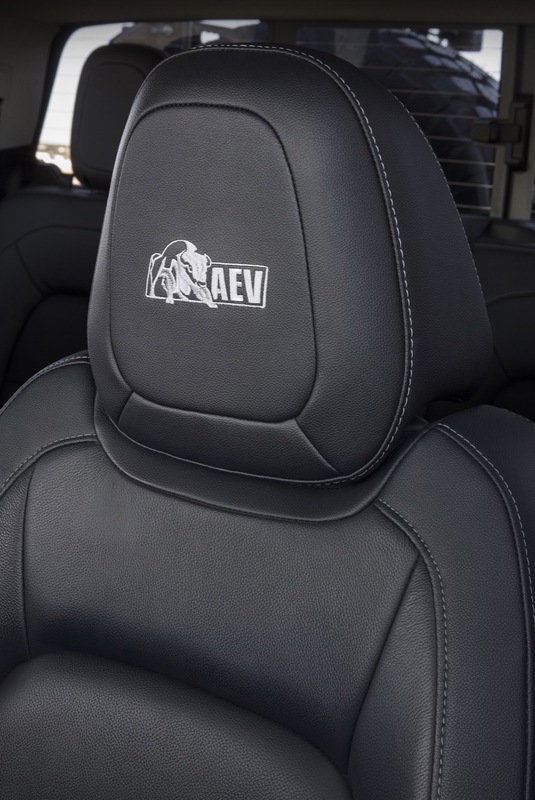 Instead, it is available as a third-party accessory form AEV and is ideal for air filtration while driving on dusty trails. 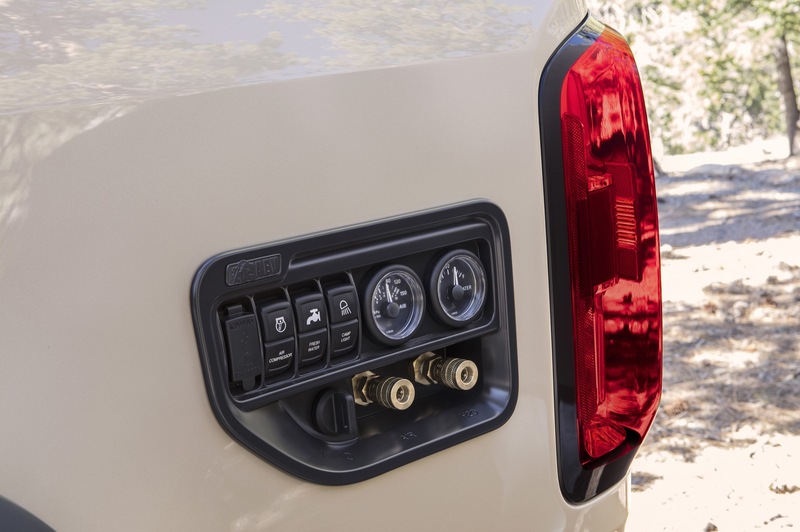 Notably, this feature is compatible with all Colorado models. 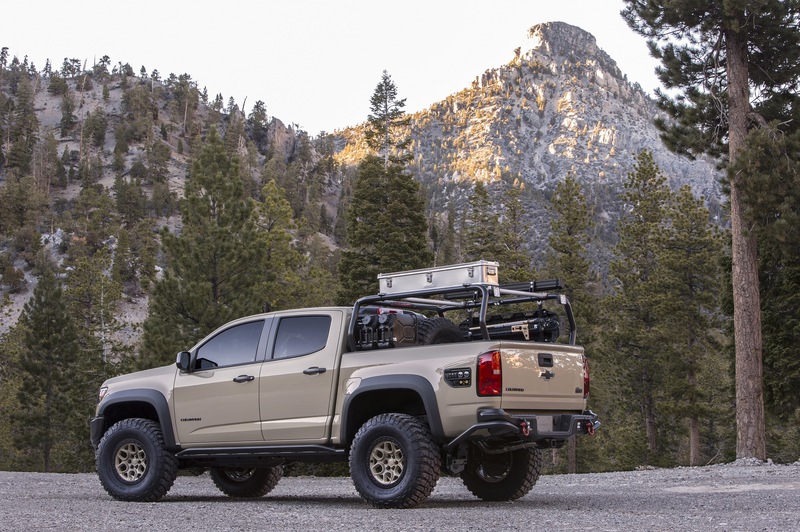 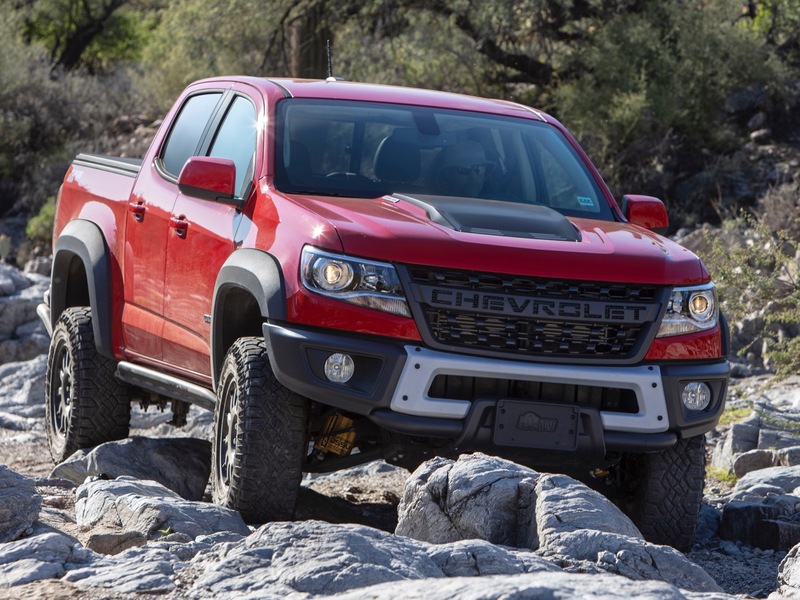 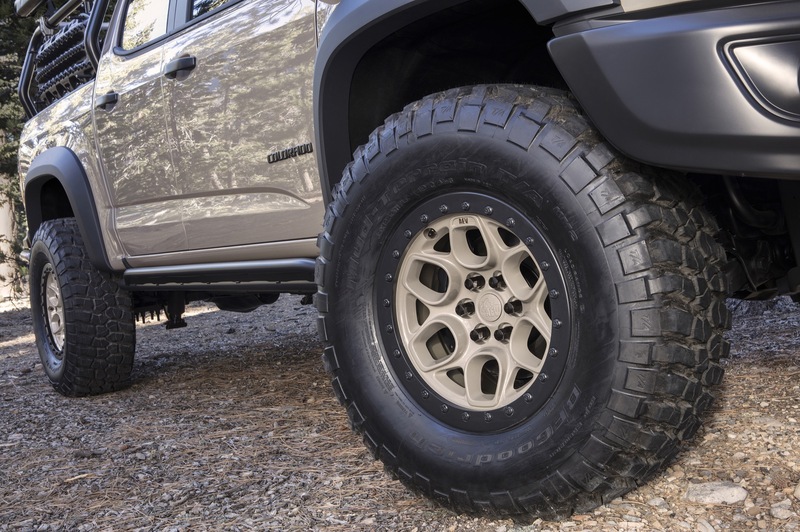 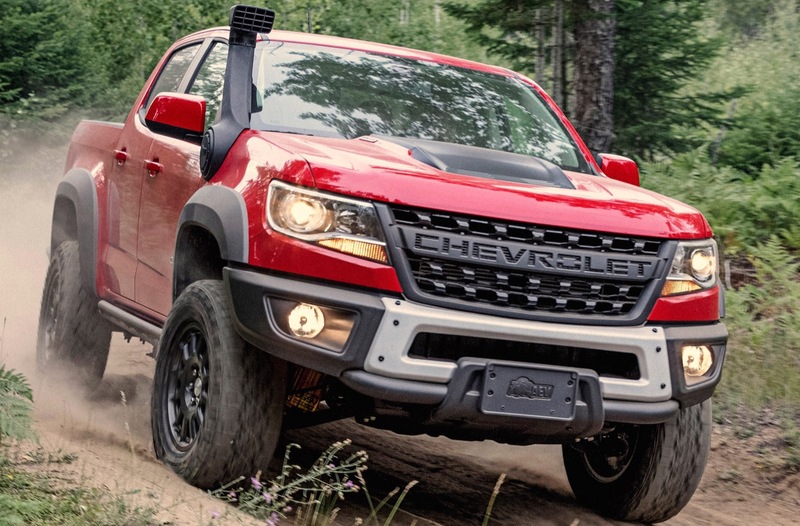 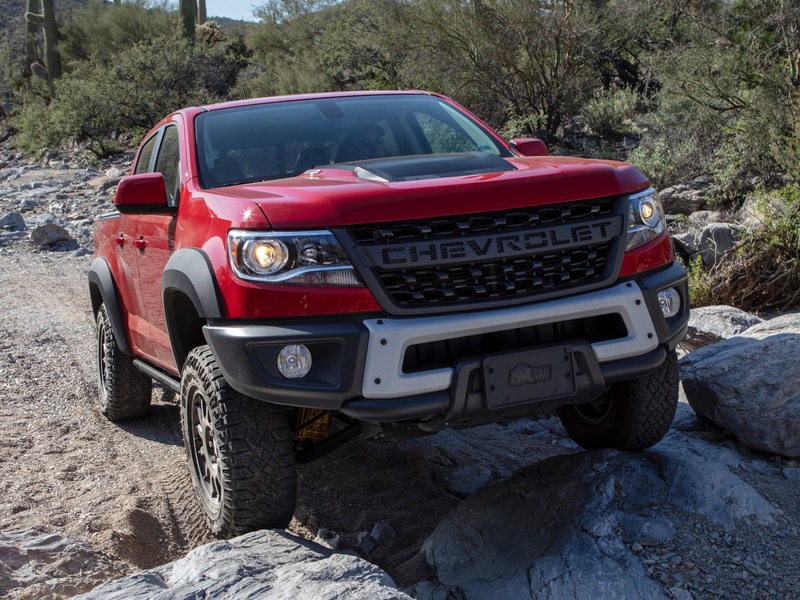 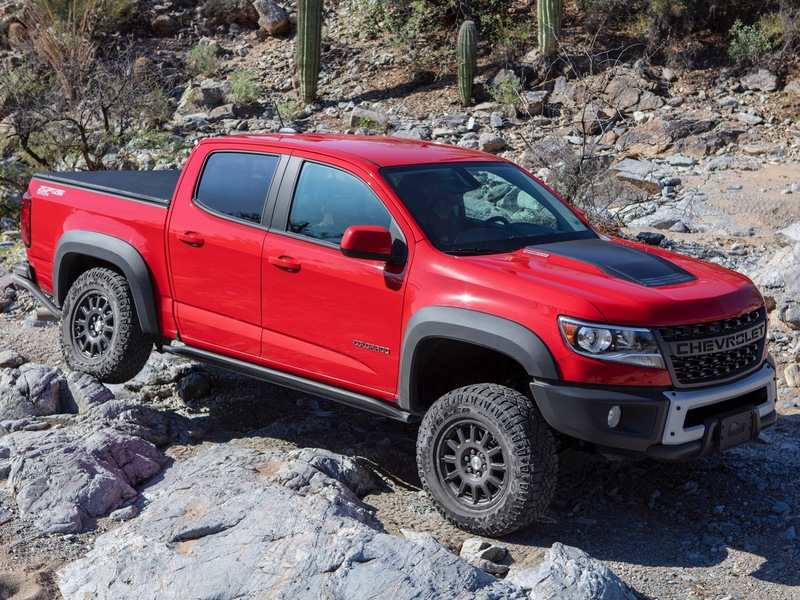 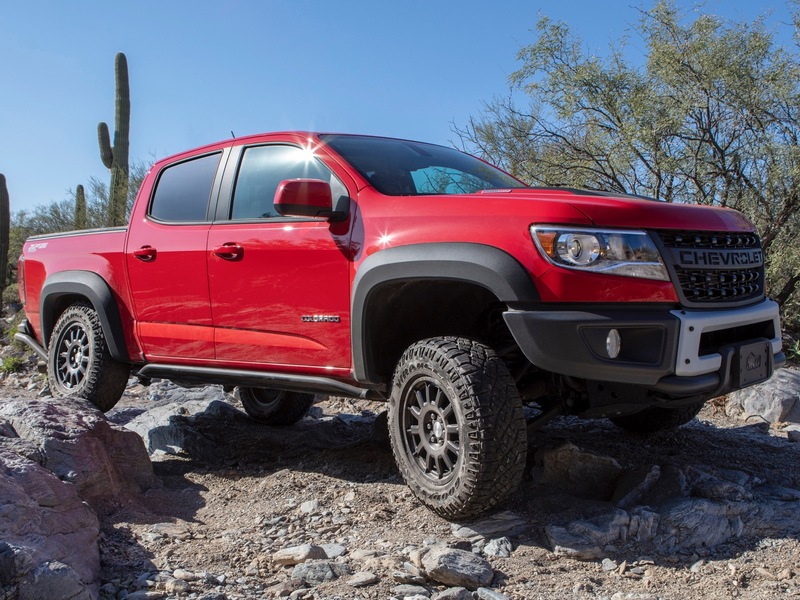 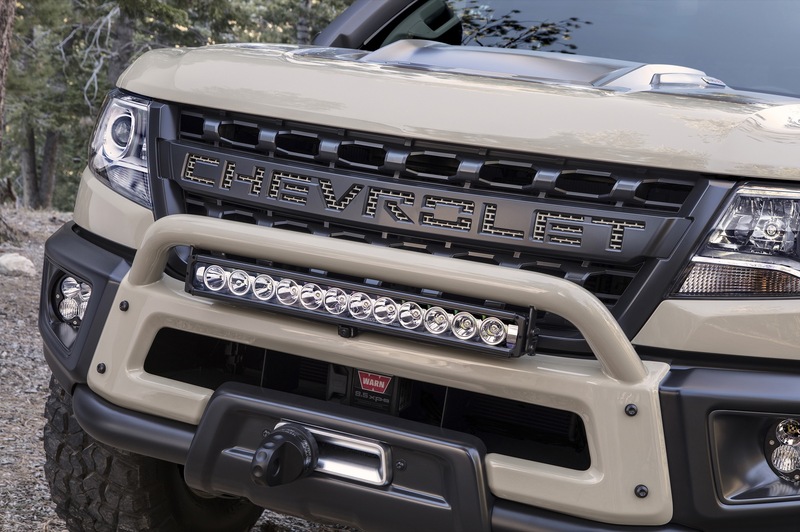 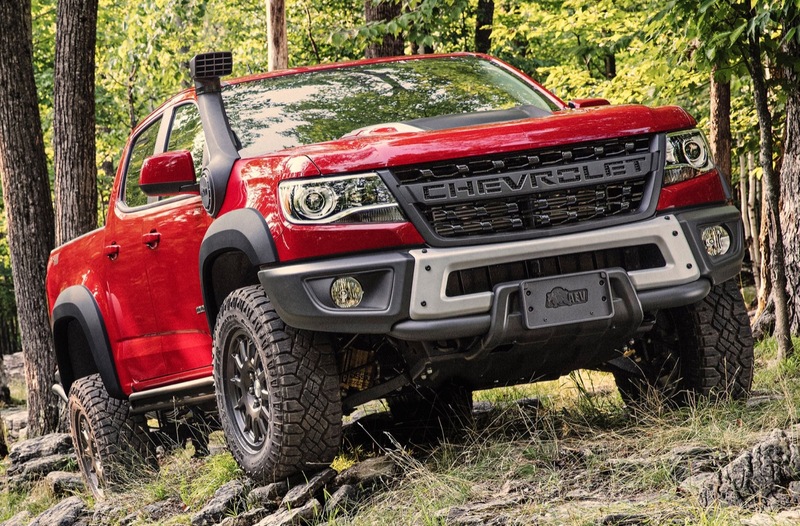 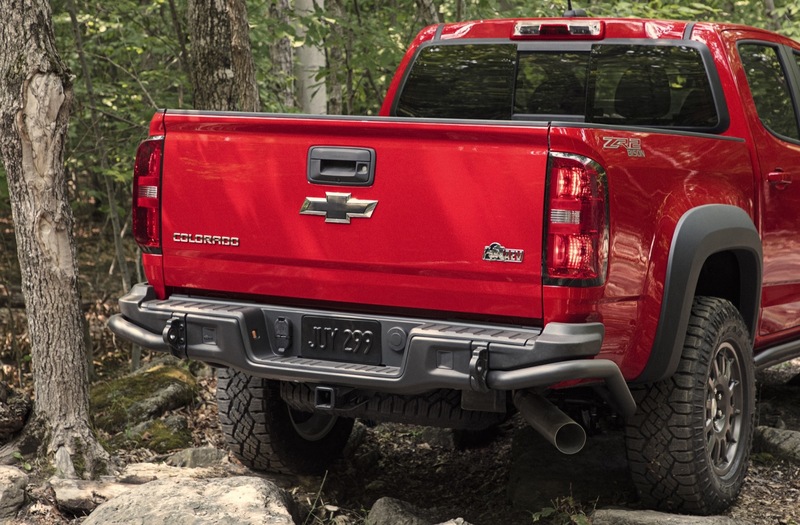 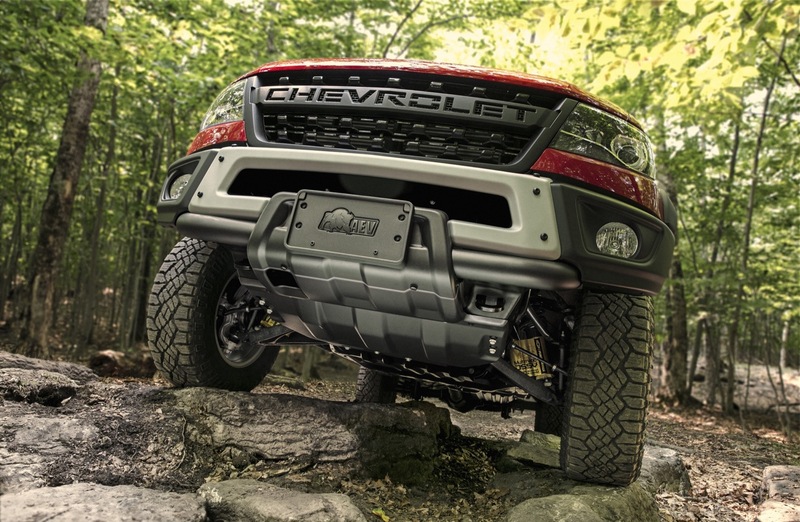 The Colorado ZR2 Bison represents Chevy’s first collaboration with American Expedition Vehicles (AEV), a premium off-road aftermarket manufacturer. 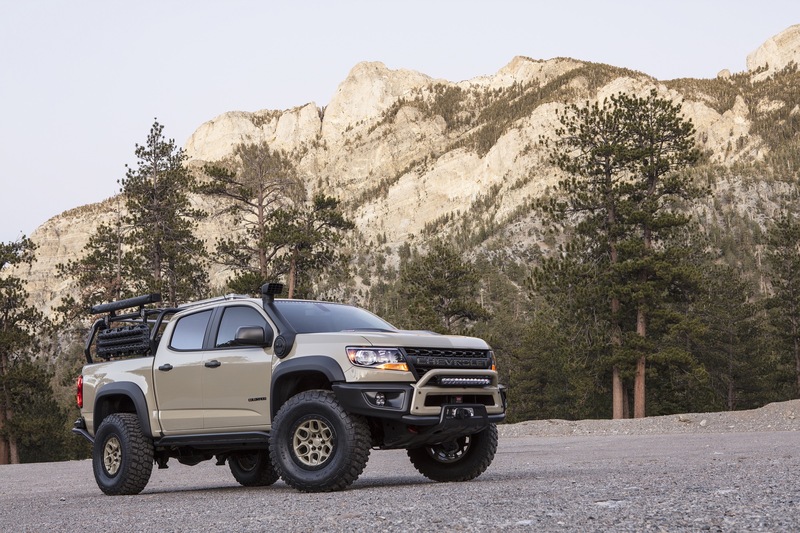 The Colorado ZR2 Bison is the production version of the Colorado ZR2 AEV. 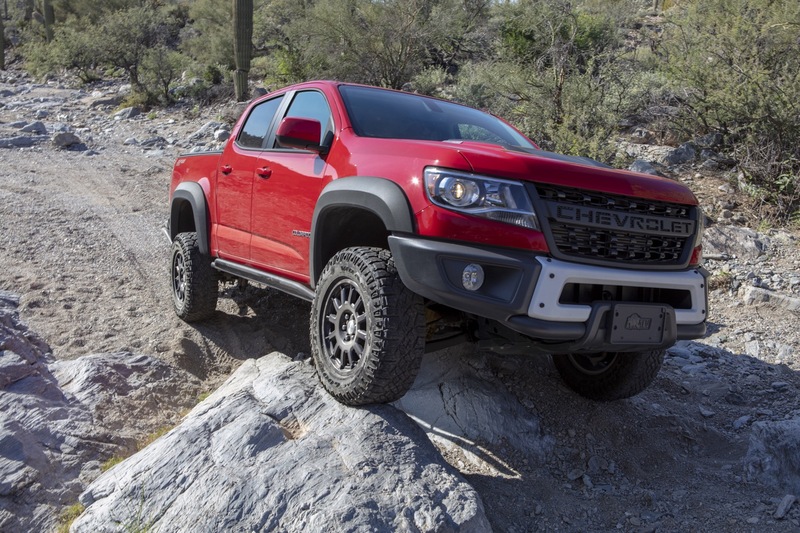 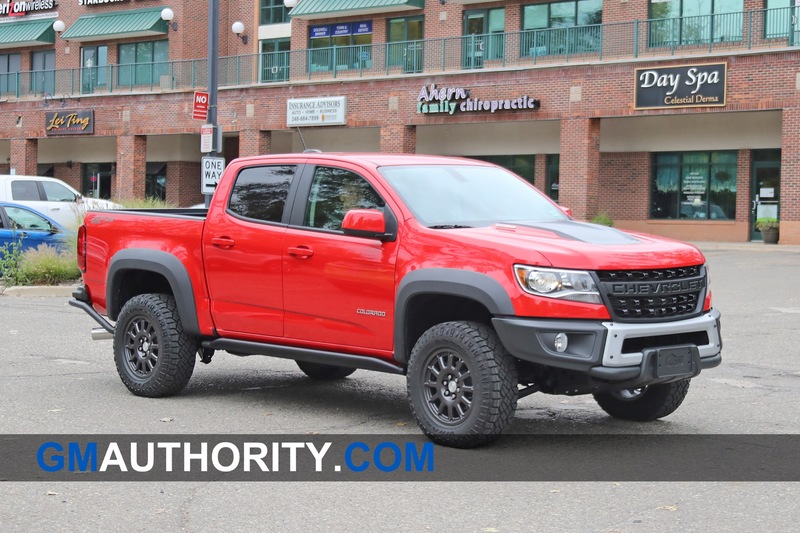 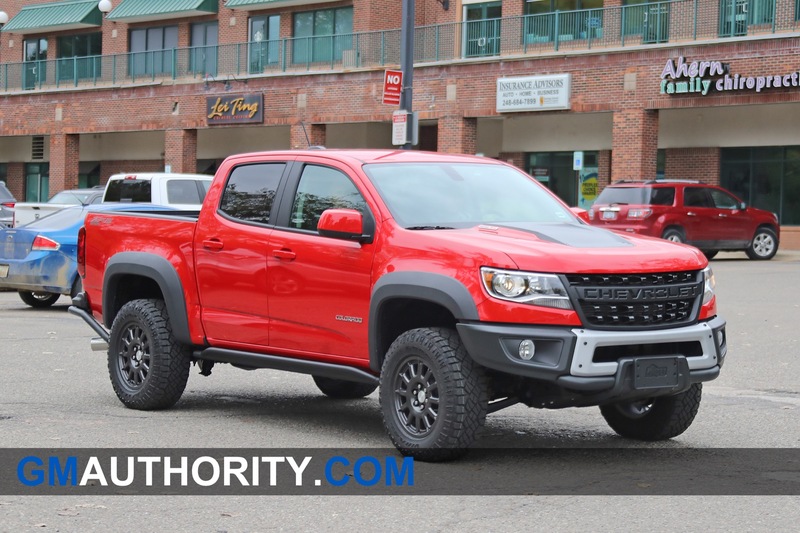 The 2019 Colorado ZR2 Bison is not a trim level. 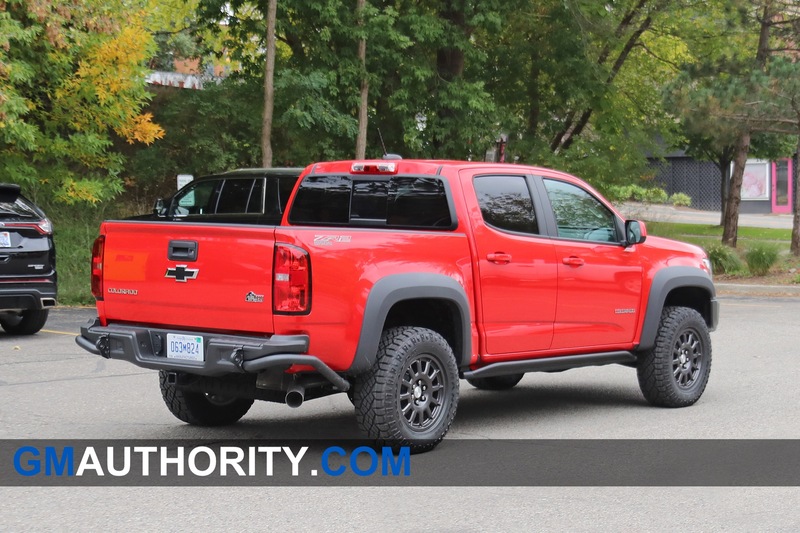 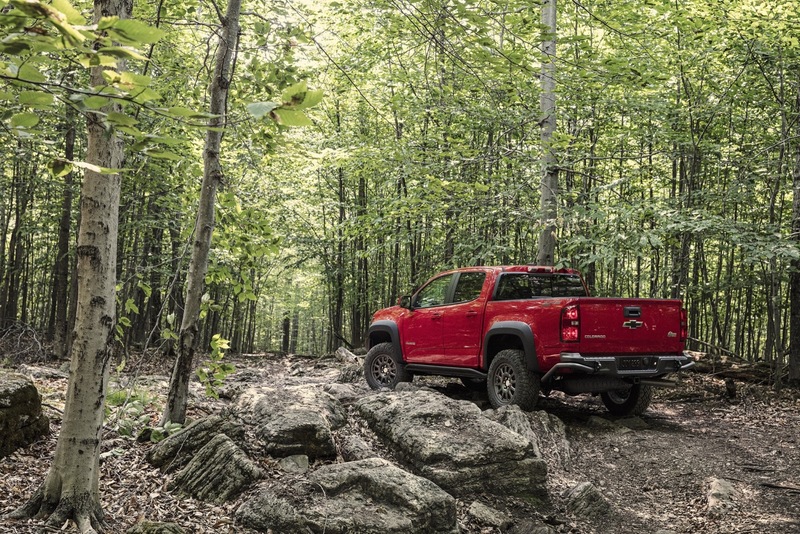 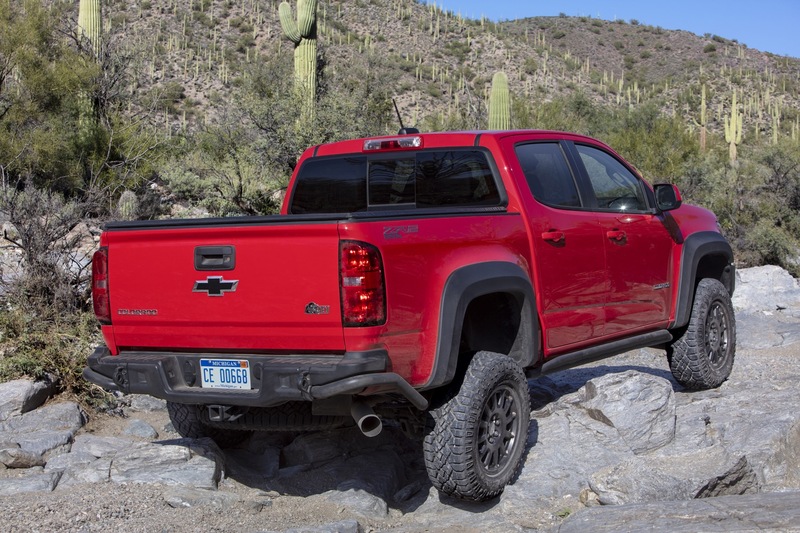 Instead, it is an options package available exclusively for the Colorado ZR2. 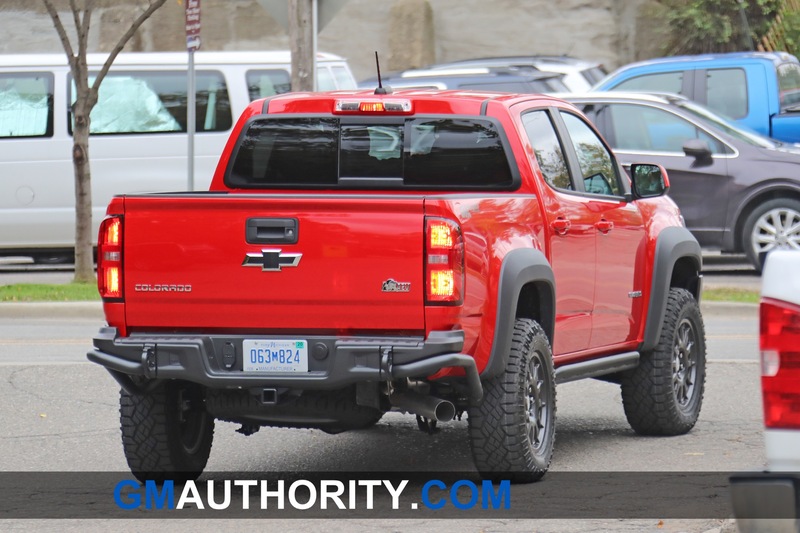 The ZR2 Bison package is assigned RPO Code ULV, available only on the Colorado ZR2. 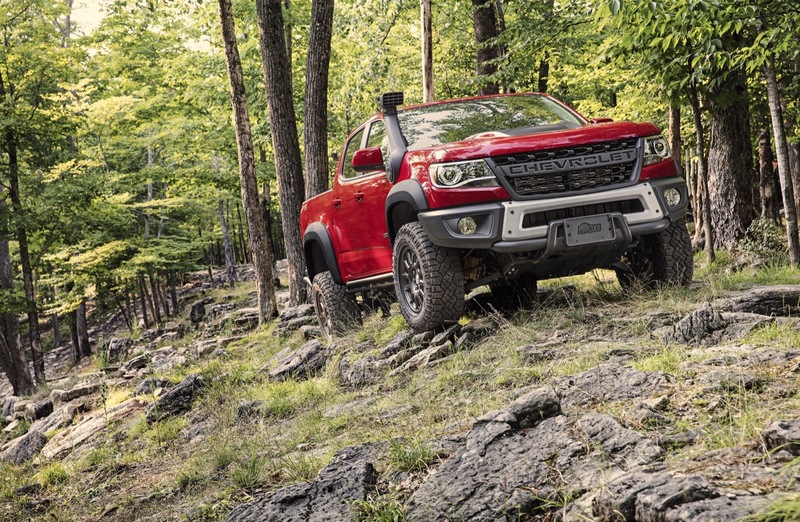 The Chevy Colorado ZR2 Bison is assembled at the GM Wentzville factory in Missouri by GM USA. 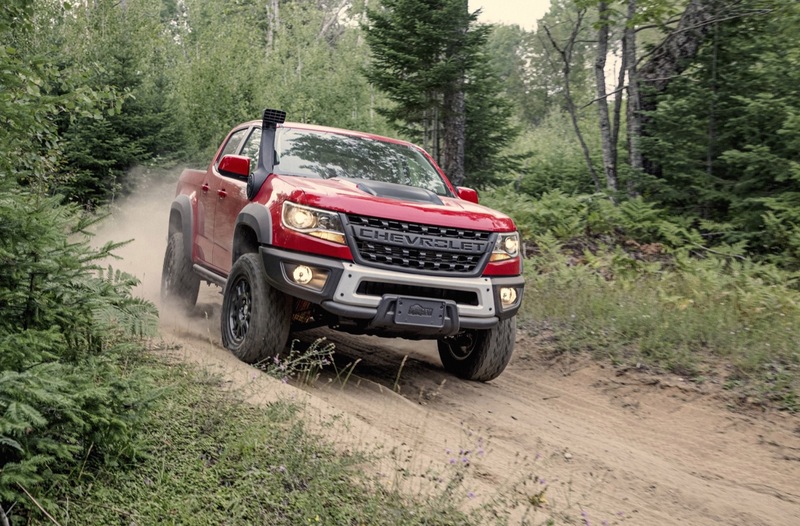 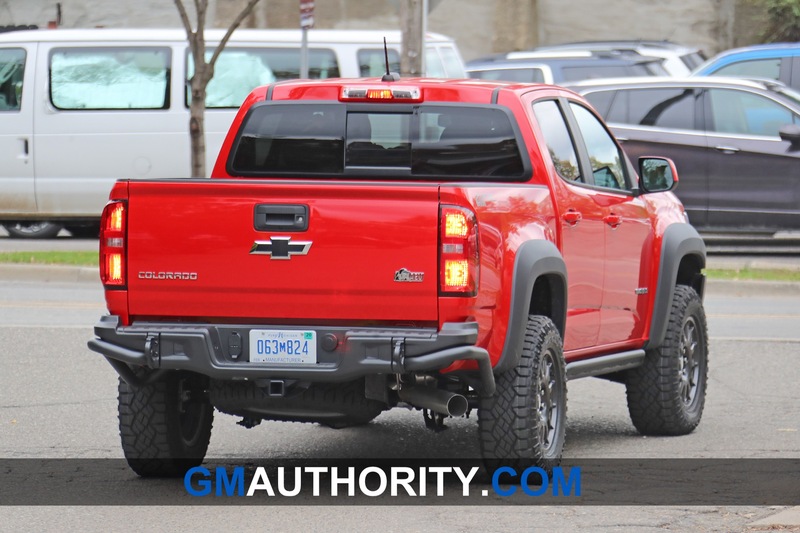 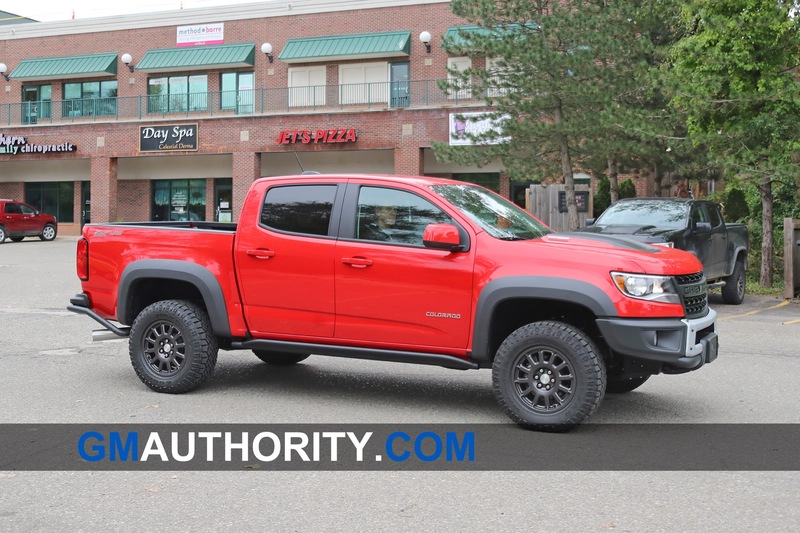 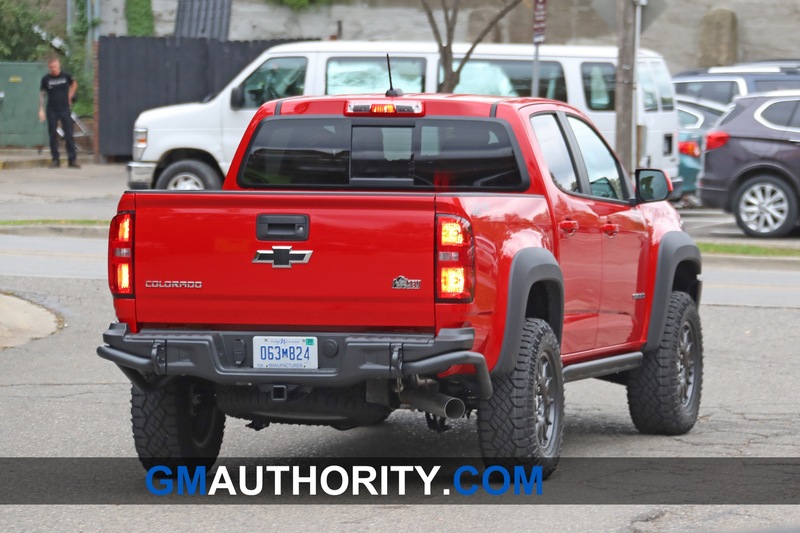 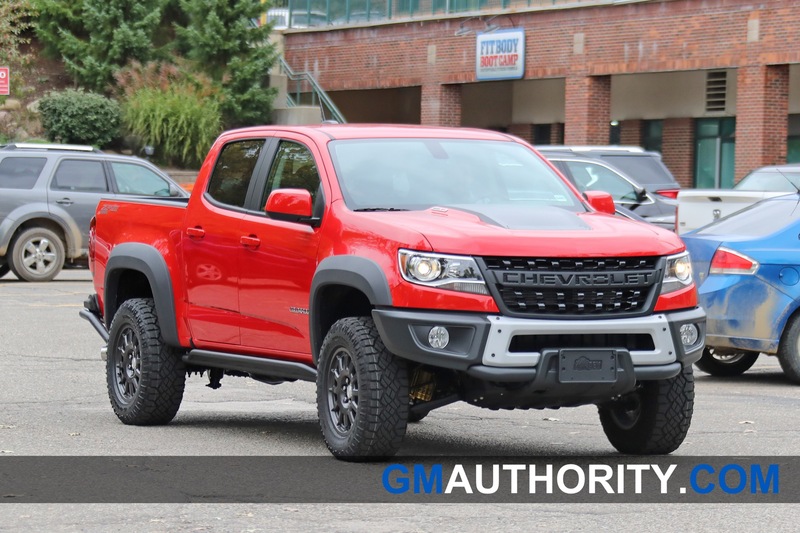 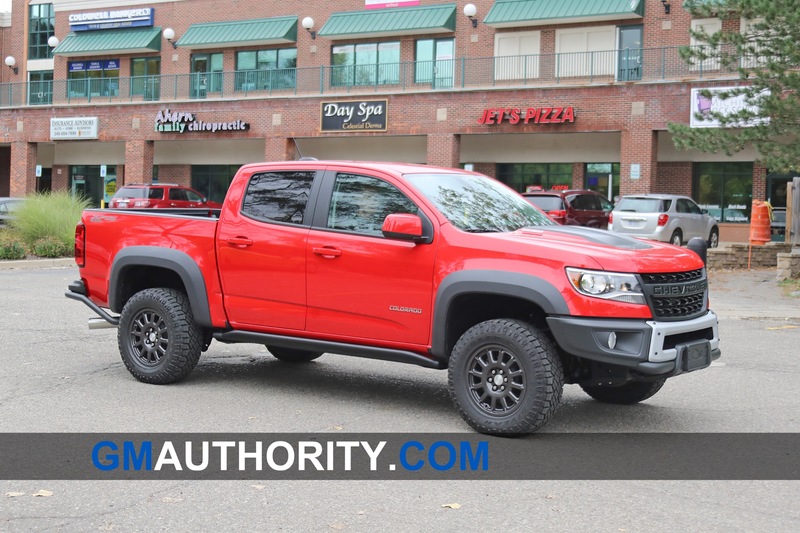 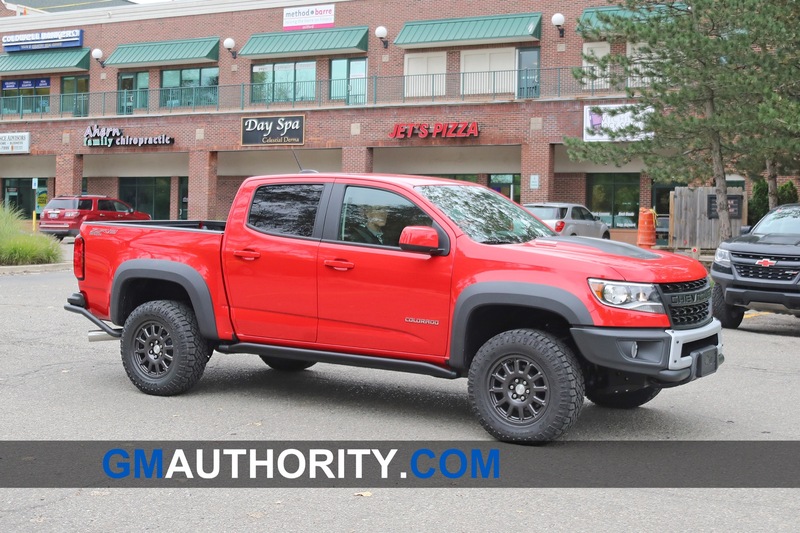 The Colorado ZR2 Bison went on sale in the December 2018 – January 2019 timeframe as a 2019 model year vehicle. 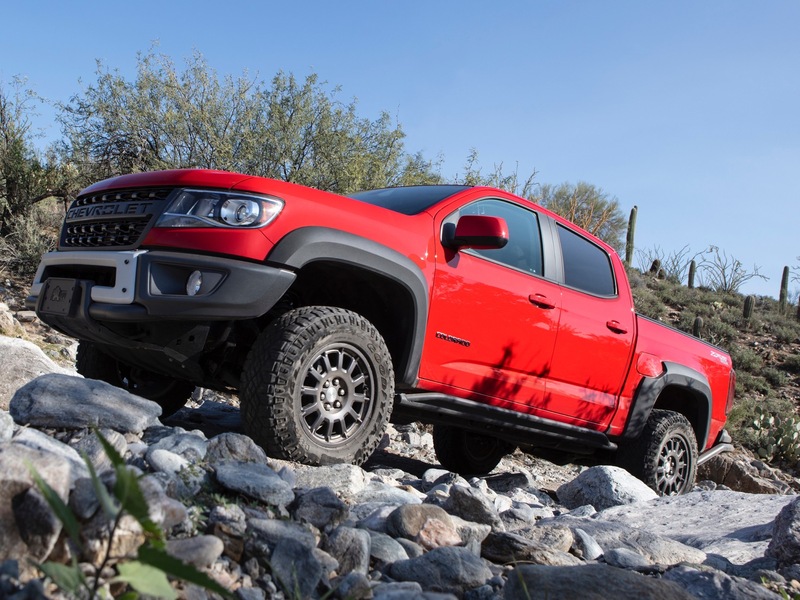 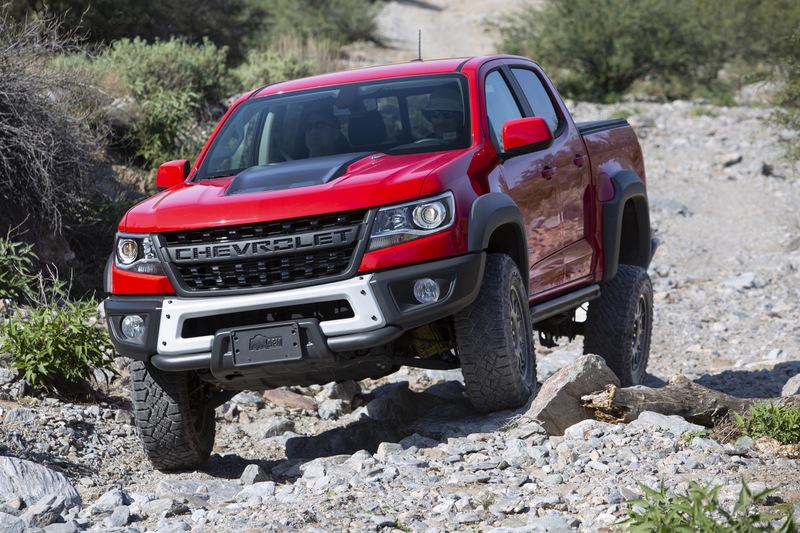 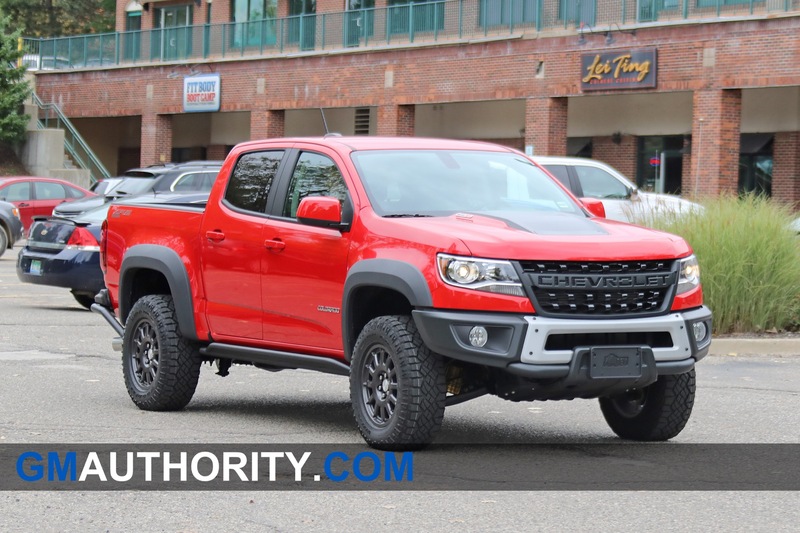 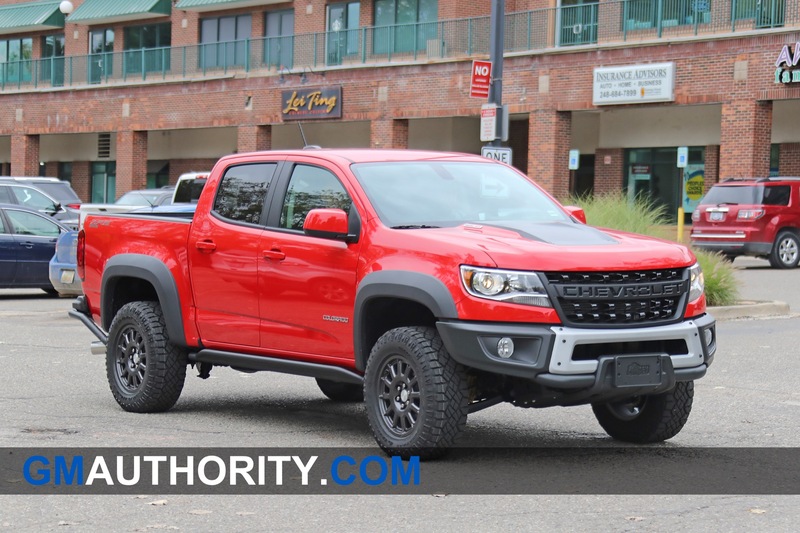 We expect that the current, second-generation Chevrolet Colorado will remain in production at least thru the 2022 model year, and that an all-new, future Chevy Colorado will launch for the 2023 model year. 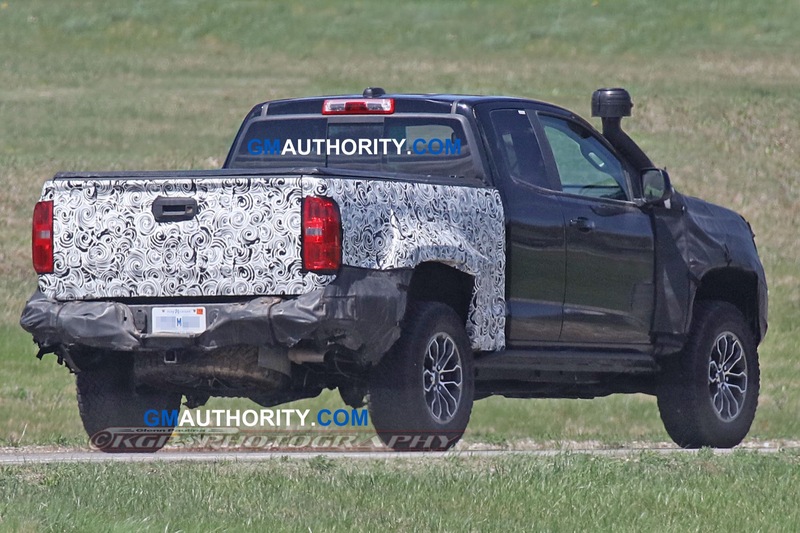 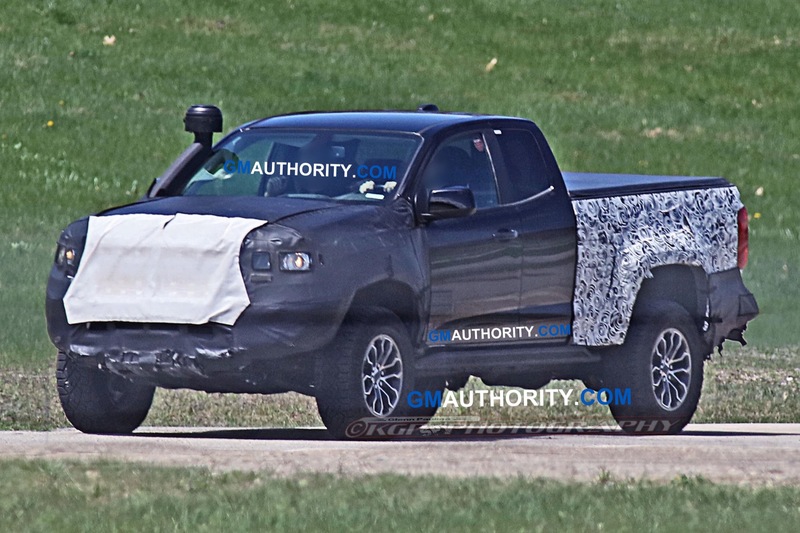 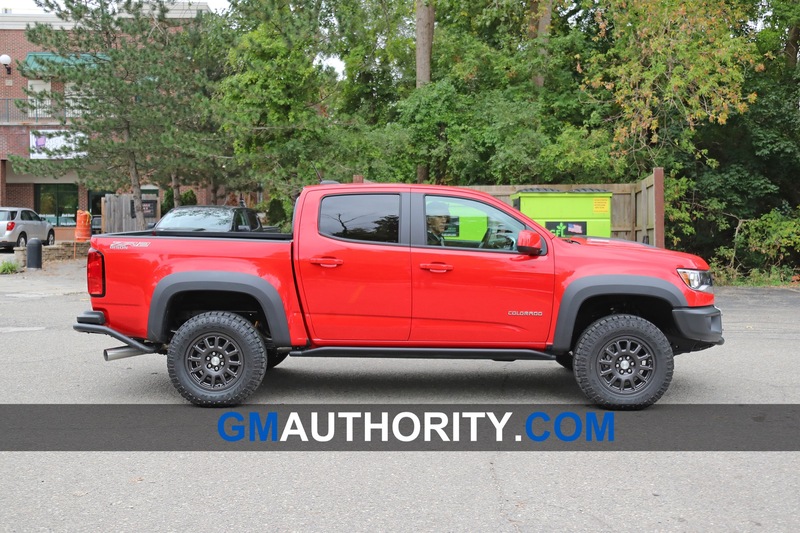 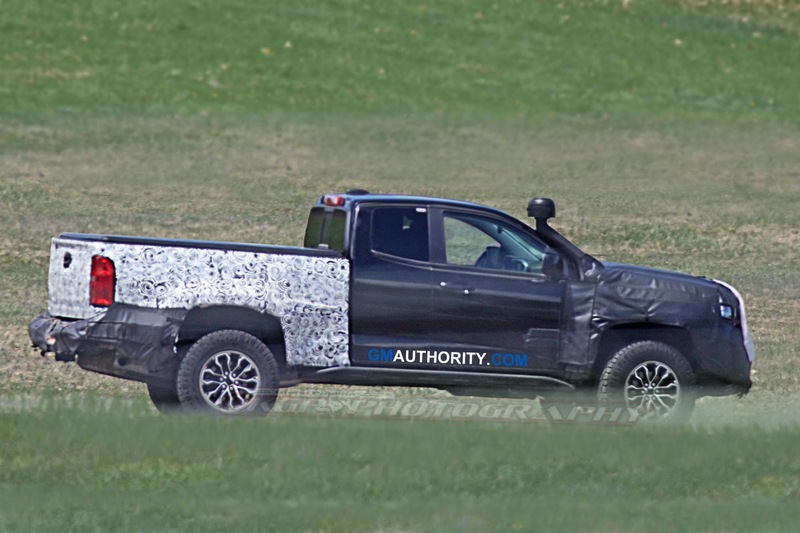 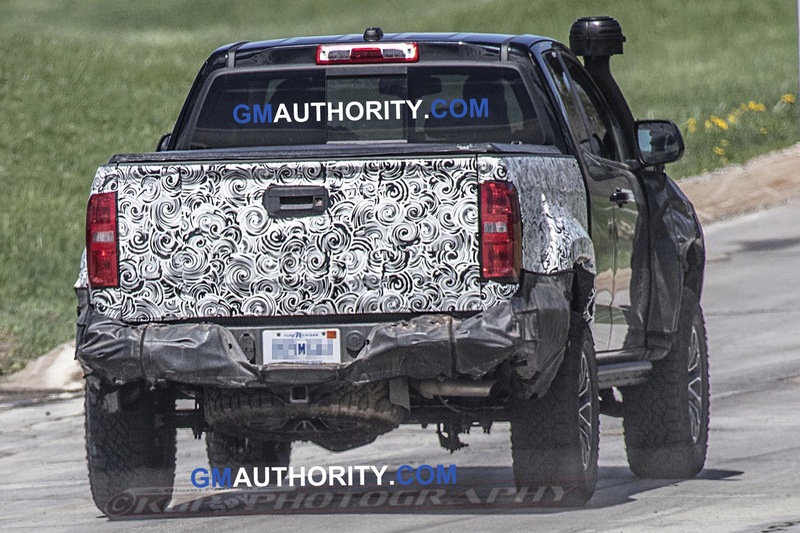 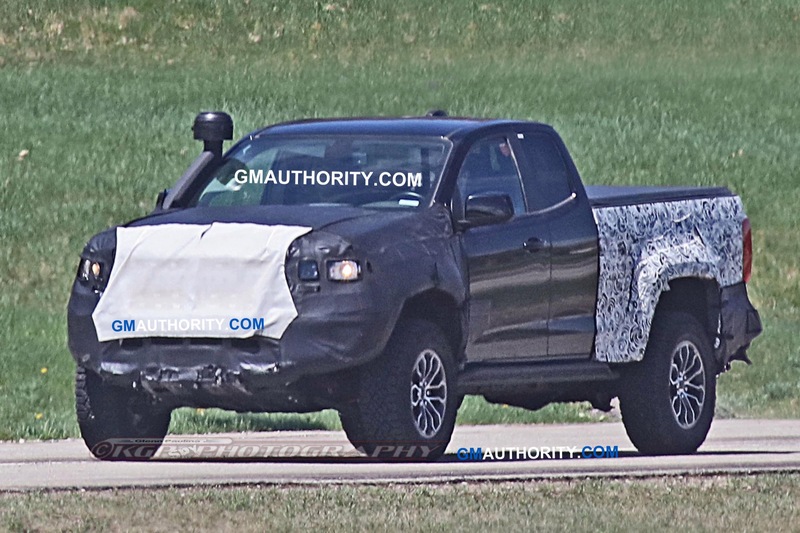 The Bison ZR2 will likely follow that production schedule. 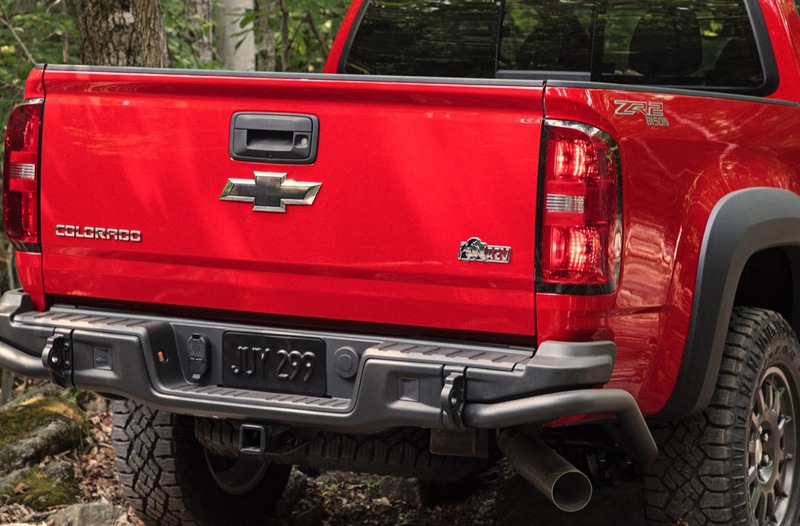 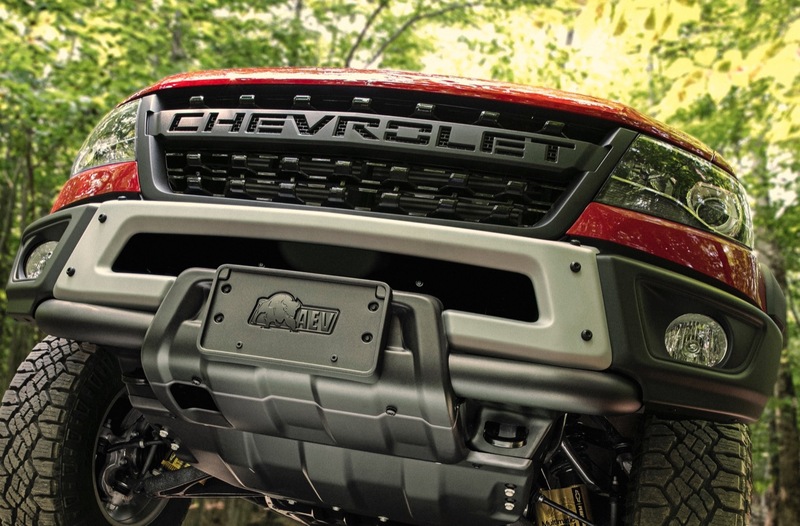 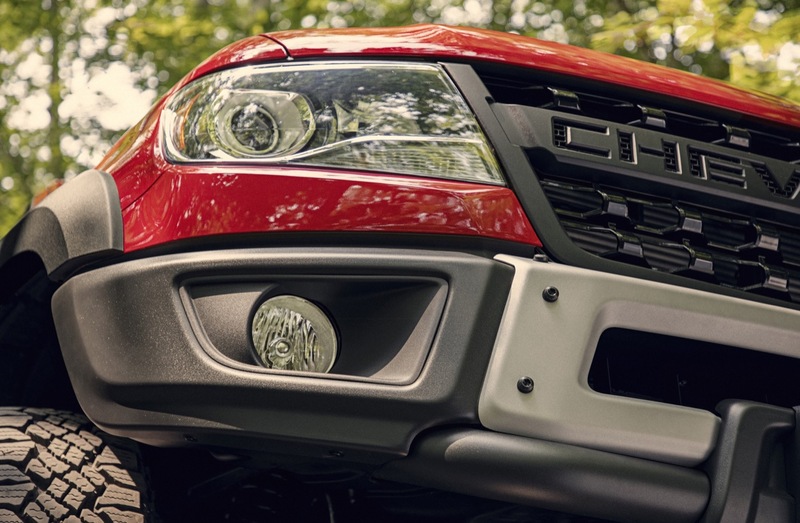 Discuss the Chevy Colorado ZR2 Bison in our Chevrolet forum. 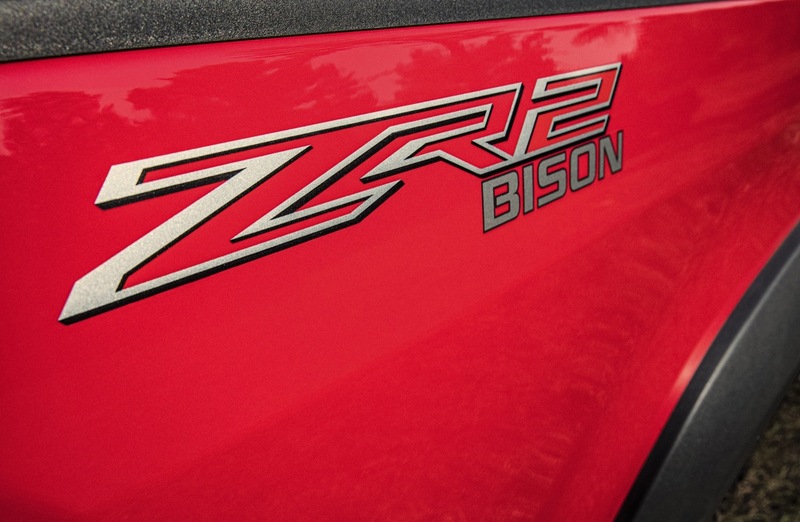 Prior to its official reveal, we had the following evidence of the Colorado ZR2 Bison’s imminent arrival. 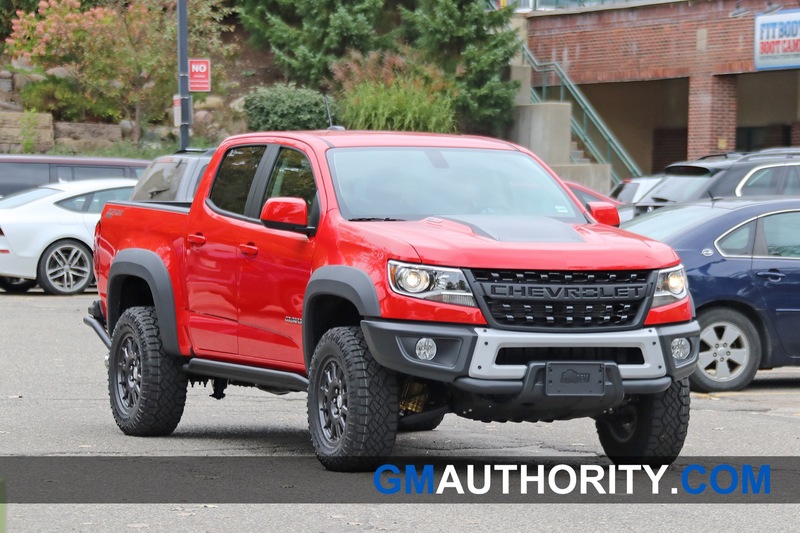 Chevrolet hinted at a Colorado ZR2 with more rugged capability in November 2017, when it showed off the Colorado ZR2 AEV concept. 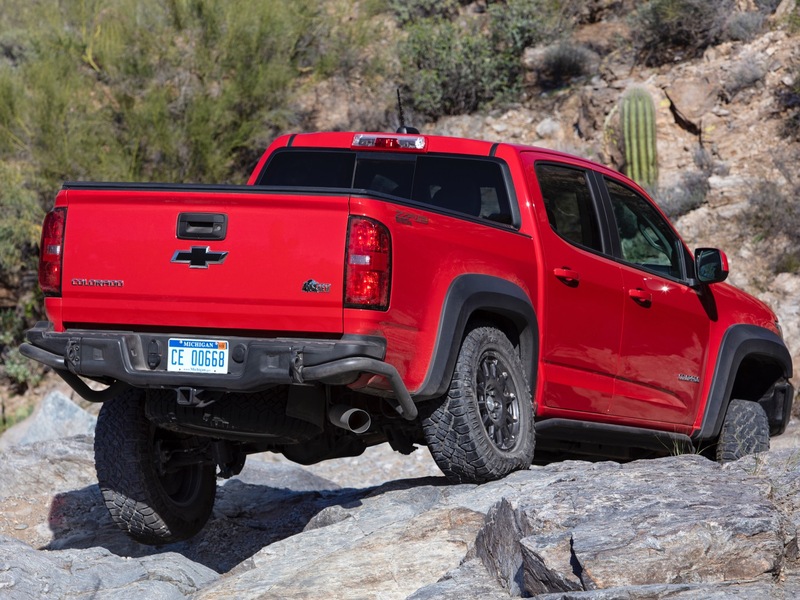 The first concrete evidence of Chevy planning to bring a Colorado variant called “ZR2 Bison” to market came in early April 2018, when Chevy’s parent company, General Motors, filed to trademark the term “ZR2 Bison” with the United States Patent and Trademark Office (USPTO). 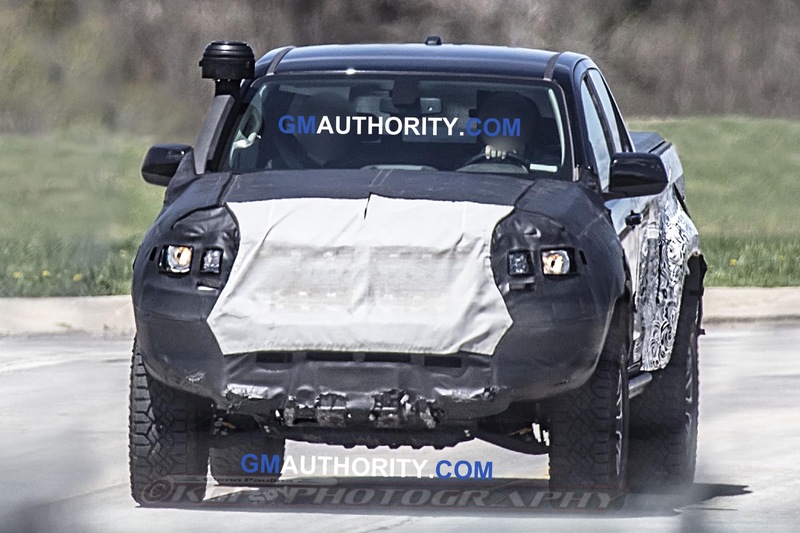 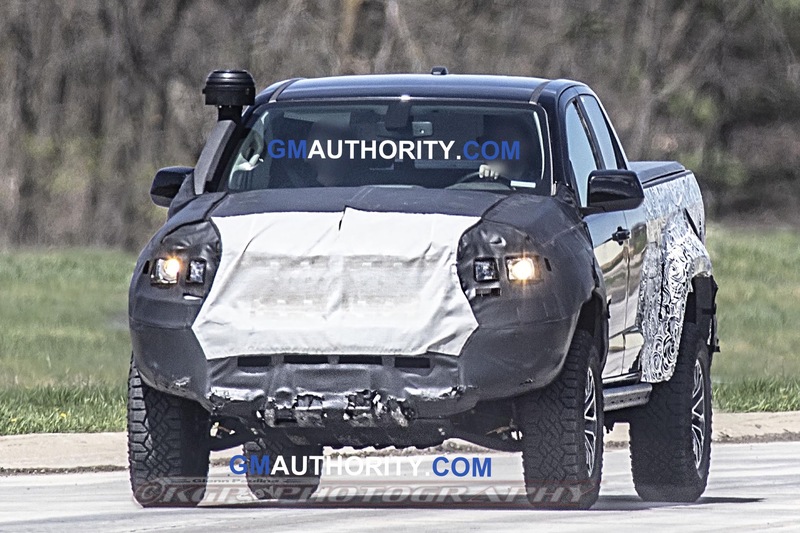 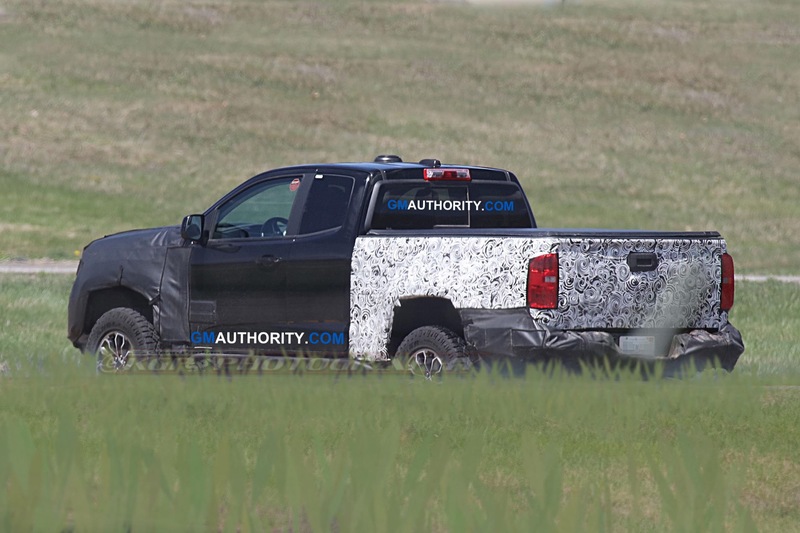 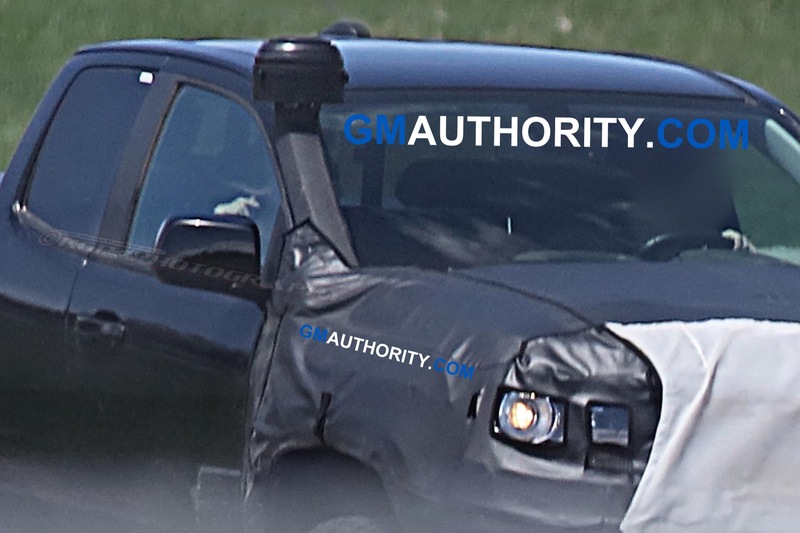 Then, in May 2018, new spy photos showed a Chevrolet Colorado ZR2 with revised front and rear bumpers plus a snorkel undergoing testing. 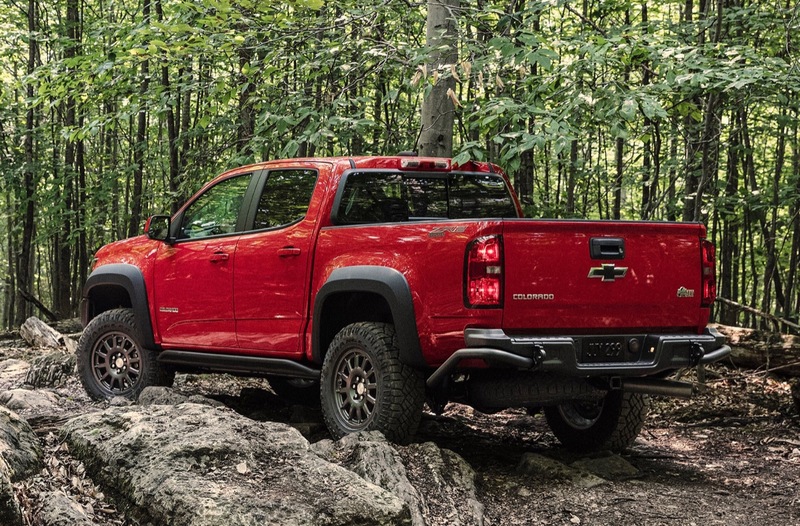 It was also rumored that Chevrolet showed dealers a production version of the ZR2 Bison during its national dealer meeting in April 2018. 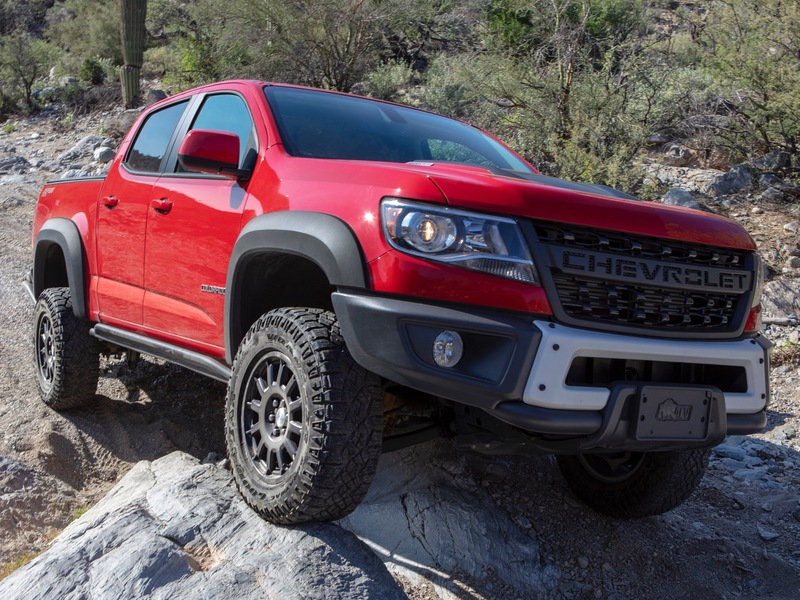 According to meeting attendees, the production-intent version followed the ZR2 AEV Concept very closely, while lacking some of the concept’s over-the-top elements, such as a bed rack system as well as the integrated air-compressor set-up. 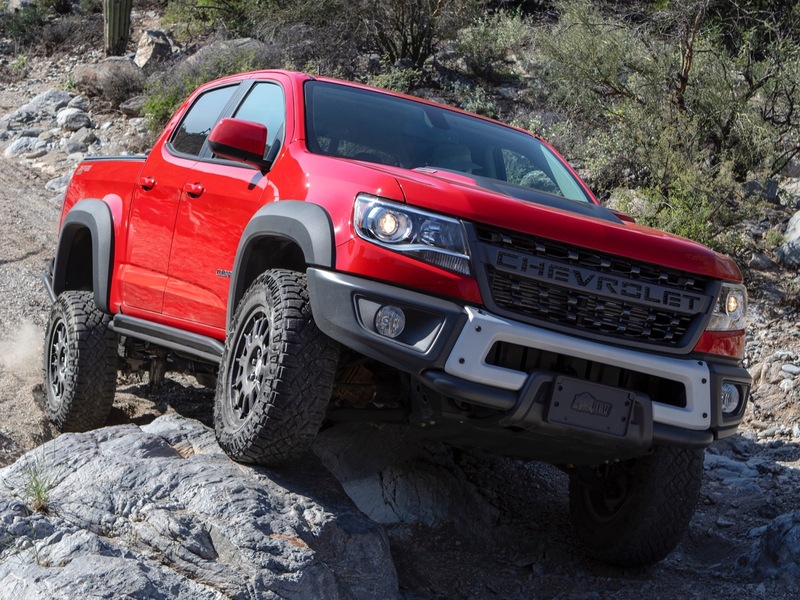 It should, however, be noted that such items could be ordered from AEV to make a vehicle close to the original Colorado ZR2 AEV concept shown at the 2017 SEMA show. 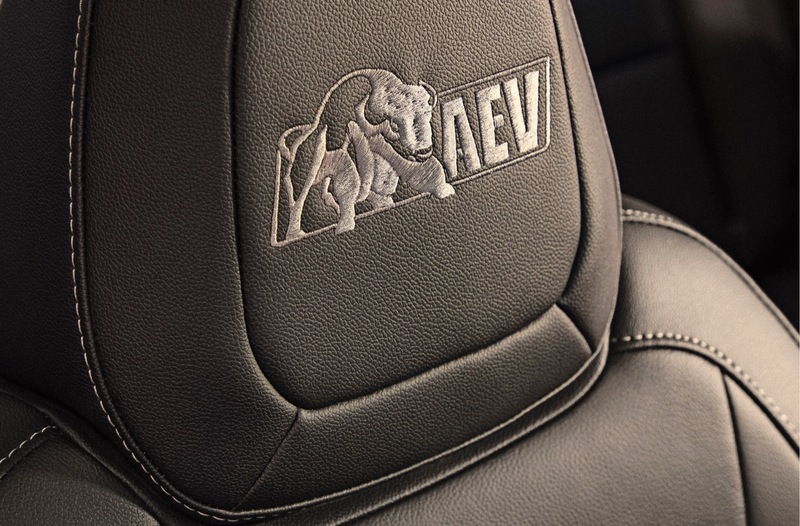 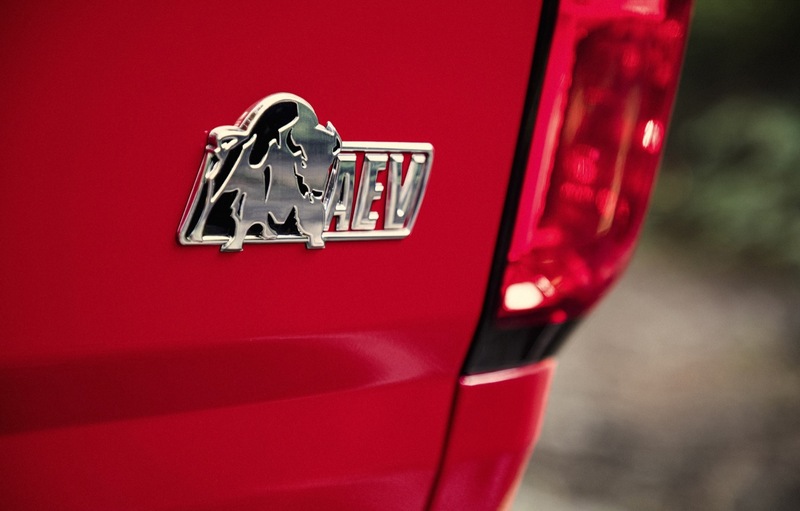 The link between the Bison name lies in the American Expedition Vehicles (AEV) logo – which includes an image of a bison. 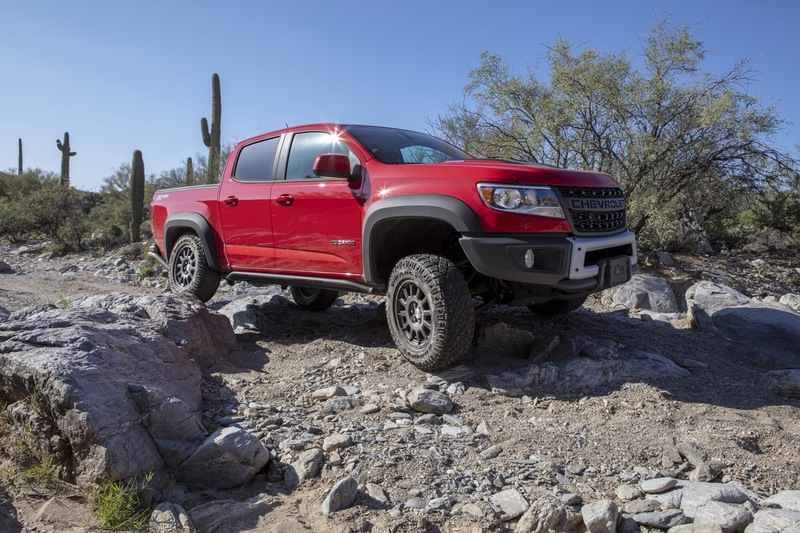 AEV was involved in conceptualizing and building the Colorado ZR2 AEV.